In the chart above the price axis is in log base ten and the levels are marked off as log scale of Pi where each level is 3.141 times the previous, if you consider that all market movements are part of a longer term cycle of circular activity it only makes sense that the constant Pi would be somehow involved, it is after all the basis of all cyclic behavior and therefore should show up strongly in the data. 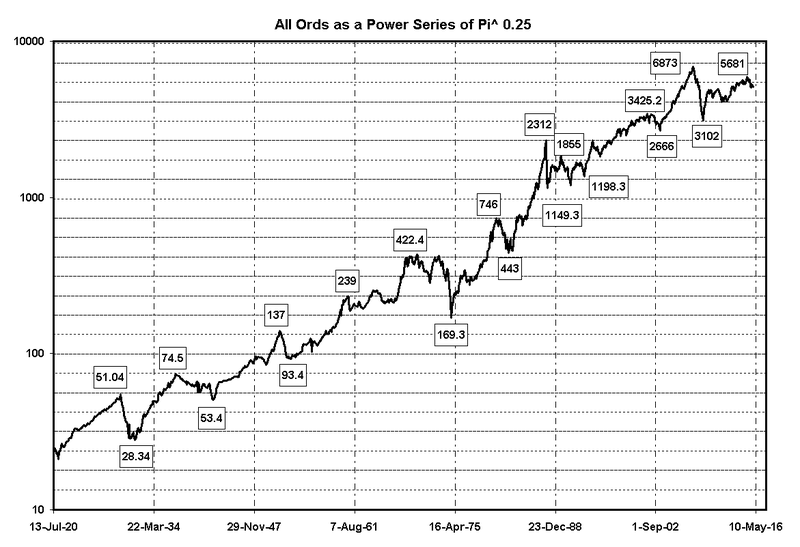 As it turns out there is a very strong correlation between Pi and the All ordinaries index, all the major and minor highs of the market in the post depression era are related to each other by Pi and its roots, if you take the first high of the Australian market after the great depression @74.5 and multiply it by Pi you get the number 234.04, which is surprisingly close to the high in the market at 239 in 1960. The next number in the series is 74.5 * Pi^3 = 2309.96, the exact high of the 1987 market was 2312 on the cash and 2343 on the SPI with the cash closing at 2305. So after decades of market action the same constant keeps reappearing, the final number in the series is 7256 which is considerably higher than the final high of the 2007 market @6873. This however does not disprove the underlying function but is does suggest that it is elliptical. No matter how you care to look at it markets are a wave function, or to put is simply it is a cycle. 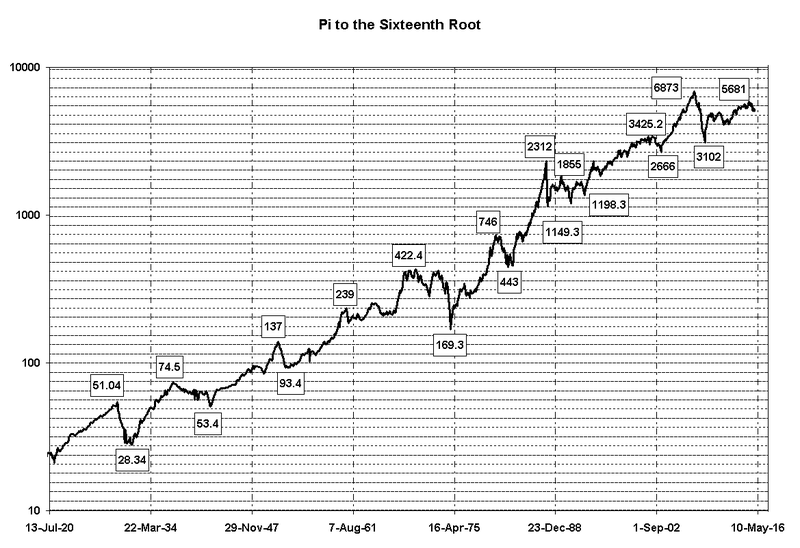 It is no great surprise that Pi would turn up somewhere as a constant, after all it is the most basic function of money and markets to circulate hence they are circular. 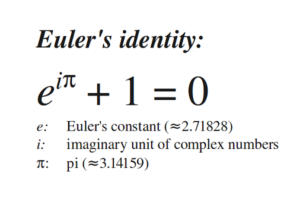 This has significant implications for calibrating and modelling this data and becomes particularly interesting when considered in terms of Euler’s Proof when market trend and direction are measured in terms of growth and decay of an exponential system as measured by an exponential step function. Greater resolution can be obtained by using the roots of pi as C = Pi^(1/2^n) which you can see in the table and charts below. Table 2: The All Ords 1937 high to 1987 high scaled to the square root of Pi. 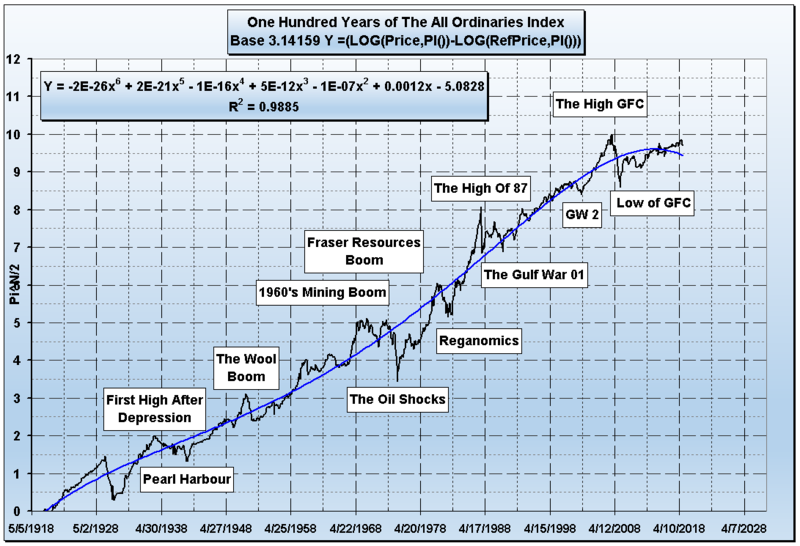 Although this in itself does not provide a predictive method as such it does however suggest that there may be a far more accurate ways to price markets when the correct price scale is applied and the broader calculus implications are taken into account. In particular when all of this is translated onto the complex plane and integrated as a set of contours.